Storyteller, actress, and writer Karen Vuranch weaves together a love of history, a passion for stories and a sense of community. She is known for her traditional storytelling, plays based on oral history, and living history presentations of famous American women. She brings history to life through her unique performance style, which combines storytelling and drama to create an engaging presentation. Karen's career began as a traditional storyteller, telling Appalachian and multi-cultural stories to audiences of many ages. While she continues to tell traditional stories, her work has branched out in other directions. She is known nationally for her work and has toured extensively through West Virginia and the United States. She regularly performs in Chautauquas, which are summer performances presented by state Humanities Councils featuring scholar/actors portraying historical characters. She has participated troupes from across the country. Her repertoire of famous American women includes novelist Pearl S. Buck, labor activist Mother Jones, humanitarian Clara Barton, Indian captive Mary Draper Ingles, Civil War soldier and spy Emma Edmunds, Irish pirate Grace O'Malley, Wild West outlaw Belle Starr, the First Lady of Food, chef Julia Child, Hollywood gossip columnist Louella Parsons and her newest character, beloved children's author Laura Ingalls Wilder. Her acclaimed performance of her original production, Coal Camp Memories, has been presented nationally and internationally. Celebrating the history of the West Virginia coal fields, Karen's storytelling drama has been hailed as significant memorial to the men and women who labored in the coal fields. She completed five performance tours of Wales and England including the Dylan Thomas Festival in Swansea, Wales, with Coal Camp Memories. Using the techniques of dramatizing oral history that she honed in Coal Camp Memories, Karen then collected stories from women on the American home front in WWII. Homefront is a one-woman play that the diverse experiences of American women during that significant era. In 2002, she traveled to China and participated in the first international storytelling festival in China. In 1994, Karen and her husband Gene Worthington performed at the Ellipse Theatre at the White House. 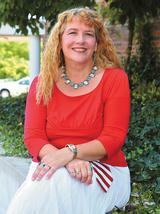 Her work has been honored by several organizations over the years. Most recently, she was awarded the Tamarack Fellowship. Tamarack is the West Virginia state arts center and the fellowship was awarded for her lifetime achievement in the arts. She also was the Oak Hill Quota Club's honoree at their annual roast in 2008. In 2005, she received the Robert C. Byrd Community Service Award from the Corridor L Tourism Commission. The West Virginia Storytelling Guild honored her in 2004 with their Robert McWhorter Achievement Award. Tamarack, the state arts center, gave her the Performing Artist of the Year Award in 2003. She received the Spirit of West Virginia Award by the West Virginia Tourism Commission for her work performing West Virginia history in 1996. In 1990, she received the Celebrate Women Award from the Women's Commission of the West Virginia Legislature. Recently, Karen was given the 2000 Performing Artist of the Year Award by Tamarack, the West Virginia State Artisan Center. Karen studied theater at Ashland University in Ashland, Ohio and at the University College Galway in Galway, Ireland. She has an M.A. in Humanities from West Virginia Graduate College and teaches Introduction to Theater and Speech and Appalachian Studies for Concord University. One of her spring academic classes, Coal Culture in West Virginia, includes a public lecture series that has been well received in the Beckley, WV community. Through her interest in the humanities and belief in the importance of communities, Karen has built a reputation gathering oral history interviews and turning those true life experiences into performances. She feels it is important to preserve the personal and family stories of a community. She conducts residencies with elementary through high school students, teaching them to interview their family members and, in turn, tell their family stories. Recently she received a letter from a woman in West Virginia who took part in a group session Karen conducted when she was gathering oral history for a new play. The woman wrote, "Thank you for your workshop. I never thought before that my life was important. Now, I know that I am part of my country's history." Karen Vuranch is available for performances, workshops and residencies. She performs regularly for conferences, banquets, schools and arts events.